Gary Kline graduated from Carnegie Mellon’s School of Music in Vocal Performance, with credits from the Dana School of Music (YSU), winning Vocal Scholarships from both institutions as well as four first-place awards at the NATS Vocal Competitions. Gary began teaching Voice for the School of Drama in 1989. During his tenure, he created and taught such classes as Singing for Actors, Musical Theater Ensemble, Cabaret and Acting a Song. He was appointed as Assistant Head of Musical Theater, and during that tenure created the CMU/CLO New Works Partnership, resulting in Workshops of new Musicals such as Caspar, One Red Flower, Yeast Nation (created by Urinetown Writers), among others. Under the partnership, Gary coordinated the Jerry Herman Legacy Concert, with Mr. Herman appearing in the Philip Chosky Theater along with Broadway vets Karen Morrow, Jason Graae and Donald Pippin. In 2006, Gary negotiated a new National Partnership with CLO, ASCAP and Stephen Schwartz’ New Writer’s Workshops, which have produced Staged Readings of Alive at Ten, Bubble Boy and most recently Steven Sater and Duncan Sheik’s Nero at CMU’s School of Drama. Gary was responsible for CMU joining the National Alliance for Musical Theater and was named to the Festival Committee for 2003 and 2004, choosing the top new musicals presented in NYC. 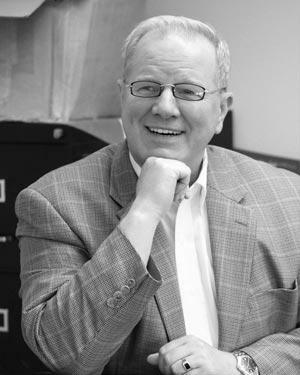 Gary has directed several Musicals for CMU, including Carousel, 110 in the Shade, Jacques Brel, and The World Goes ‘Round, which was named in the “Top Five” of Pittsburgh’s Theatrical Best in 2000 by the PPG. Other Directorial duties include directing Tony McKay’s Father Figures at City Theater and at Primary Stages in NYC (with Barbara Bosson), and The Quoter in NYC’S Actor’s Ensemble Theater. Gary is nationally known as a voice teacher, continuing to teach at the Broadway Theater Project in Tampa and CMU’S Pre-College Program. He has served as Head of Music Theater for the Flying Swan Acting Program at Wesleyan University (CT) as well as Perry Mansfield School (CO), CLO Academy, and taught Master Classes for NATS and local Schools. Internationally, Gary served as Head of Music for the National Institute of Dramatic Arts in Sydney Australia. Gary studied Acting at the British American Drama Academy (Stanford) with Marsha Mason, Anne Jackson and Richard Dreyfuss, as well as the Manhattan School of Music’s Professional Broadway School with Victor Garber and Johanna Merlin. In 2000, he attended the Cabaret Symposium at the O’Neill Theater in Connecticut, and has studied and performed with Betty Buckley at the Sundance Festival in Utah. Stage performances include Operatic roles with the Pittsburgh Opera (Fidelio, Bartered Bride, Rigoletto, Faust), and the PA Opera Festival (La Traviata). Collegiate opera performances include roles in Pagliacci, Cosi Fan Tutte and The Medium among others. Musical Credits include roles with Pittsburgh’s Civic Light Opera (West Side Story, Fiddler on the Roof), West Virginia Public (Man of La Mancha, Molly Brown), Pittsburgh Musical Theater (1776, Evita, Jesus Christ Superstar, Man of La Mancha) and the WVA Symphony (A Little Night Music). He has soloed twice with Marvin Hamlisch and the Pittsburgh Pops, appeared as Narrator with the PSO, and has sung solos with the South Hills Chorale, Edgewood Symphony, CMU Philharmonic, YSU Orchestra, and WVA Orchestra. Gary’s Cabaret’s Performances include appearances at Danny’s Skylight Room, Duplex Cabaret Theater and 88’s in NYC, and shows at the CLO Cabaret Theater and CMU’S Chosky Theater. His CD, released in 2004, includes duets with singers Margaret Whiting, Billy Porter, Patrick Wilson, as well as guitarist Joe Negri, among others musicians.